We all love to click photos. Though these days not much photographs are in hard copy but we cannot deny the pleasure that they give when we see the developed form. So how about saving all your photographs in a unique way like this exploding box? To make this cut 3 square pieces of cardstock in three sizes of 9 x 9″, 8 5/8 x 8 5/8″ and 8 ¼ x 8 ¼ “. Score each of these square pieces so that you get 9 small squares in each big square. 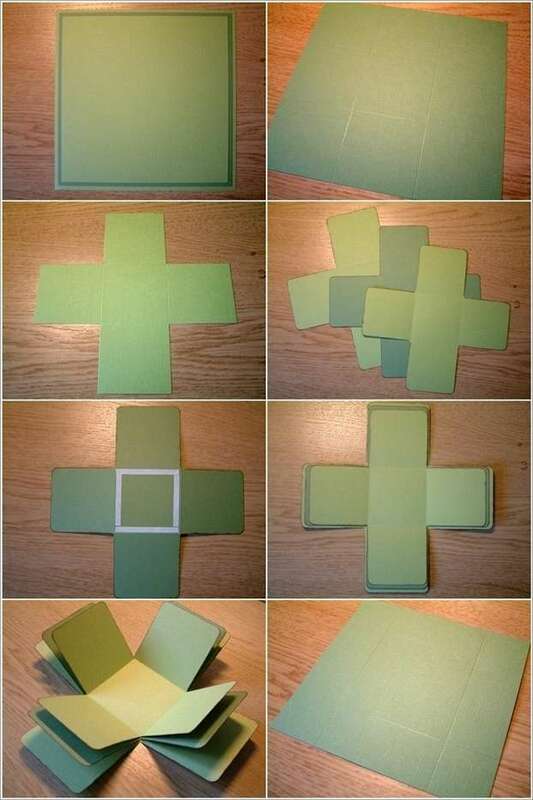 Cut the four squares at the corners of each big square. Fold along the creases. Make their edges a bit round. Glue these together by keeping the largest at the lowest place. 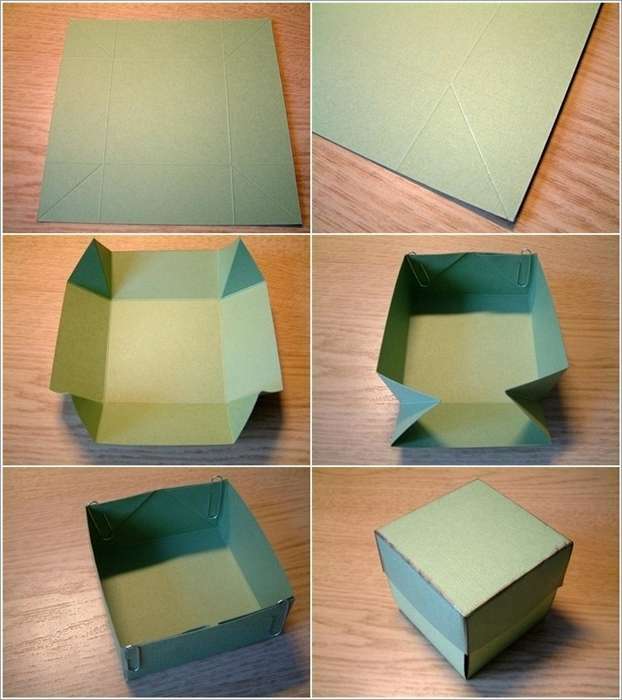 To make the lid cut a 6 ¼ x 6 ¼” piece of cardstock. Make creases in this square too almost 1 ½” away from each side. Make diagonal creases in the four squares that you can see at the corners. Fold the creases and your lid will be ready. 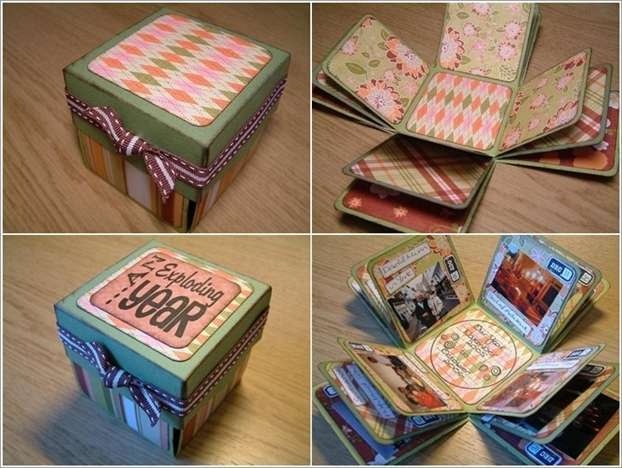 If you want you can decorate this box with patterned paper and then glue the photos. Happy crafting!